As the recent battles over school re-segregation in various North Carolina school districts make clear, the use of race and poverty in school assignment remains a controversial issue. Some parties, including the former conservative school board majority in Wake County, even argued that it was even somehow forbidden. Fortunately, the U.S. Department of Justice (DOJ) and Department of Education (DOE) have recently released new guidelines which add much needed clarity on these matters. The introductory portion of the guidance reaffirms the educational and civic benefits of diversity and the damaging pitfalls of school segregation. The DOE also issued a regulation permitting schools to use to information about children’s eligibility for the Free and Reduced Lunch Program as a means of determining students’ socioeconomic status for school assignment purposes. In spite of the longstanding use of this data, some doubt was cast on the practice when a program analyst from the U.S. Department of Agriculture (USDA) sent an e-mail to Wake County school officials stating that the use such data for student assignment purposes might violate privacy laws. The DOE regulation expressly negates the analyst’s take on the law. The USDA and DOE intend to jointly issue guidance for use by the educational community which will be in line with this new regulation. Conversely, “racially isolated schools often have fewer effective teachers, higher teacher turnover rates, less rigorous curricular resources (e.g., college preparatory courses), and inferior facilities”. The state of the law regarding the use of race in student assignment has been somewhat up in the air since the Supreme Court’s confusing 2007 ruling in a case involving the Seattle school system and a DOE “guidance” issued the following year. Happily, the most recent jointly issued guidelines negate the 2008 guidance and clarify what school districts may do in light of the Seattle case. The new directive relies heavily on Justice Kennedy’s concurring opinion in the Seattle case because Kennedy and the four dissenting Justices comprised a majority of the Court on the issue of the use of race in student assignment. These Justices agreed that state and local authorities are not prohibited from considering the racial makeup of schools and adopting general policies to encourage a diverse student body. According to the guidelines, districts must first try to use “race-neutral” approaches when deciding about student assignment to achieve diversity as well as for drawing school boundary lines. These approaches include using students’ socioeconomic status, parental education levels, the socioeconomic status of neighborhoods, and the composition of an area’s housing including its share of subsidized or rental housing. If, however, a race-neutral approach would be unworkable to achieve the compelling interest of diversity and/or avoiding racial isolation, a school district may employ generalized race-based approaches but may not make decisions on the basis of any individual student’s race. For example, schools can draw attendance zones based on the racial composition of particular neighborhoods because students in those neighborhoods would be treated the same regardless of race. The guidelines give many specific examples of acceptable ways to achieve diversity, including one that specifically applies to the choice-based student assignment policy currently being considered in Wake County. 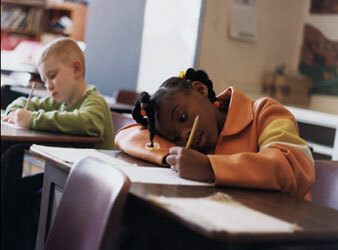 Districts may design school choice programs in a way that achieves diversity or avoids racial isolation using race-neutral factors (such as socioeconomic status) or generalized race-based factors that look at things like the overall racial composition of neighborhoods but do not involve decision-making on the basis of any individual student’s race. The new federal guidance is vital and extremely promising because: a) it recognizes the value of diversity and the educational and civic problems that accompany racial isolation and b) because it provides clear guidance to school districts that will limit the costly litigation that had arisen around student assignment policies. Local boards of education throughout North Carolina would do well to follow this legal framework closely when adopting student assignment policies and affirm the DOE’s commitment to diversity in order to provide the best possible education for North Carolina’s children. Matt Ellinwood is a Policy Advocate the North Carolina Justice Center’s Education and Law Project.